Bake cute mini cupcakes with these paper cups. 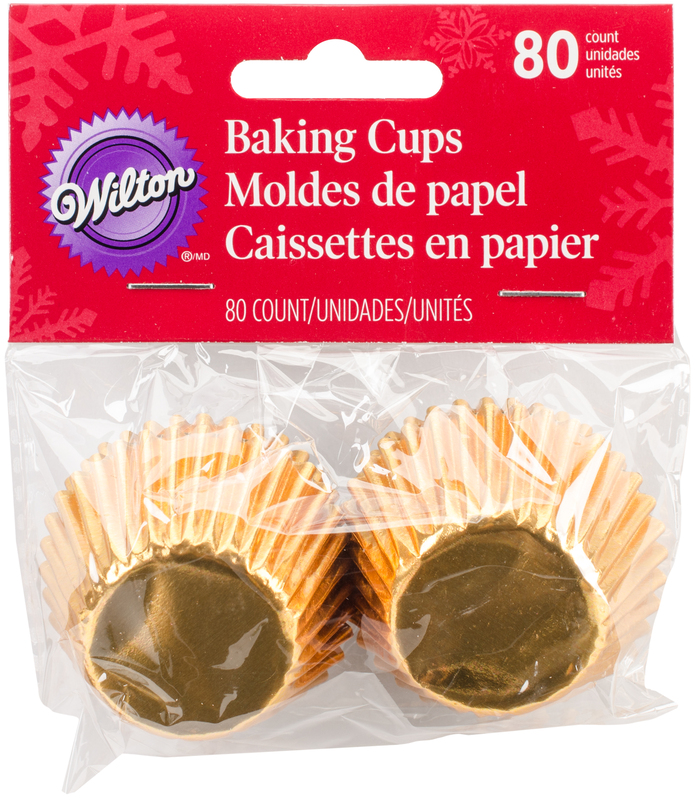 This 3.8x4.25x1.1 inch package contains 80 gold foil baking cups. Imported.